Our team’s main objective is to achieve complete satisfaction for our clients.With our years of combined business experiences, both independent and corporate, we understand the importance of being honest and transparent. As successful partners in both business and marriage, we have learned how that same understanding will build better relationships. We are well established in the Modesto area as we have lived here since 1991. Modesto is where we have raised our four, lovely daughters during ourthirty-one-year marriage, where we bought our homes, where we have made wonderful, loyal, devoted friends and now enjoying our four grandchildren. 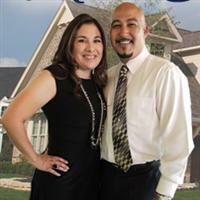 Whether you are in the process of buying your first home or selling the home you have spent years building memories in,let The Muro Team work for you. Together, we will show how our teamwork will bring the best results.